First a confession. NYCYak was once a Canadian yak. 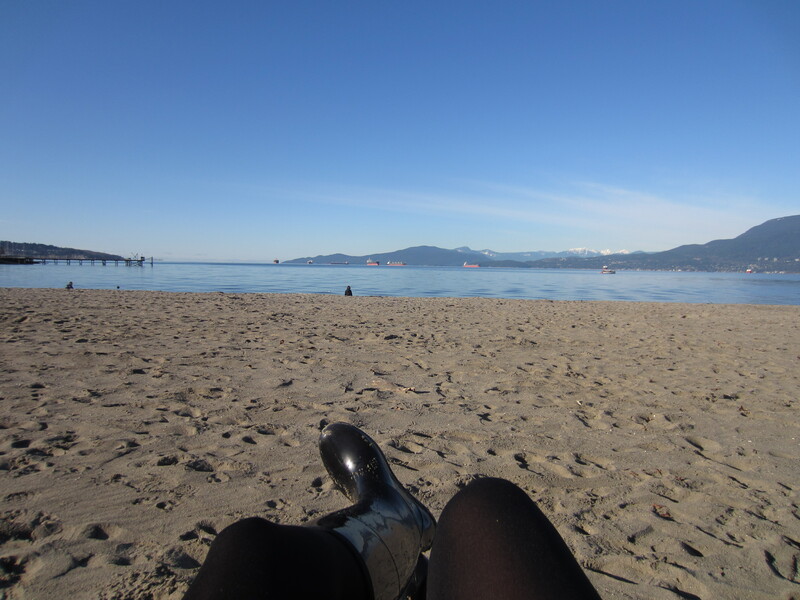 Vancouver, to be precise. As such, I have fared through my share of wet wet winters. Well, I’m back in my old pastures at the edge of the Pacific again, and I’ve been grazing the Pacific Northwest for winter shoes that keep my toes warm and dry without compromising my ethics or my grad-student-thin wallet. Lo and behold, I present to you: the first non-Made in China rain-boots I’ve ever seen! Kamiks! Kan you believe it?! Kamik boots are made in Canada and their company is family-run. Kould it be?! Aye. They carry rain-boots, winter boots, shoes, sandals, and more. For male and female yaks, mind you. And while I nabbed my pair at Pacific Centre’s LoCale shoe store, you can get yours through Zappos’ Kamik pages. So while everyone else spends double or triple by buying those ridonculously over-priced Hunter wellies (which are now made in China, not Scotland as they used to be), you can walk a little lighter knowing you put your money and your foot down for Tibet. 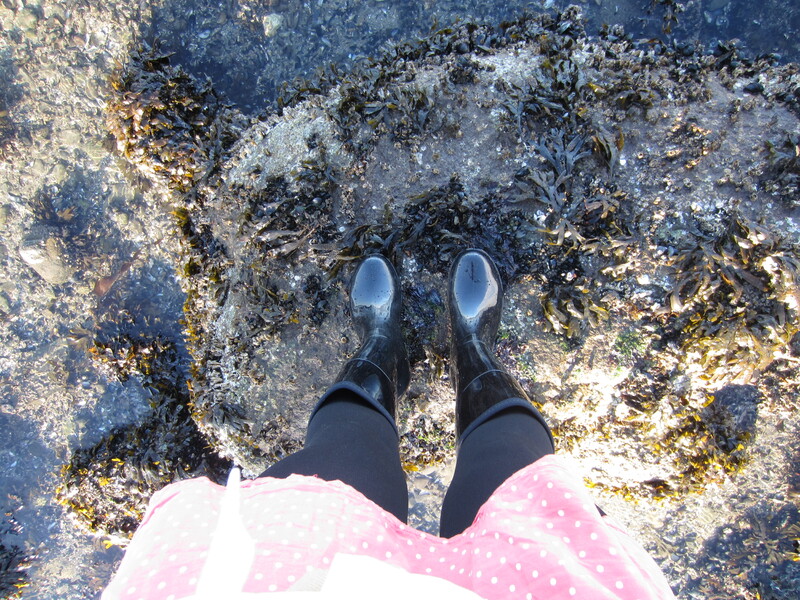 I decided to test-driving my Kamik wellies by stomping around in the bitterly cold Pacific Ocean. 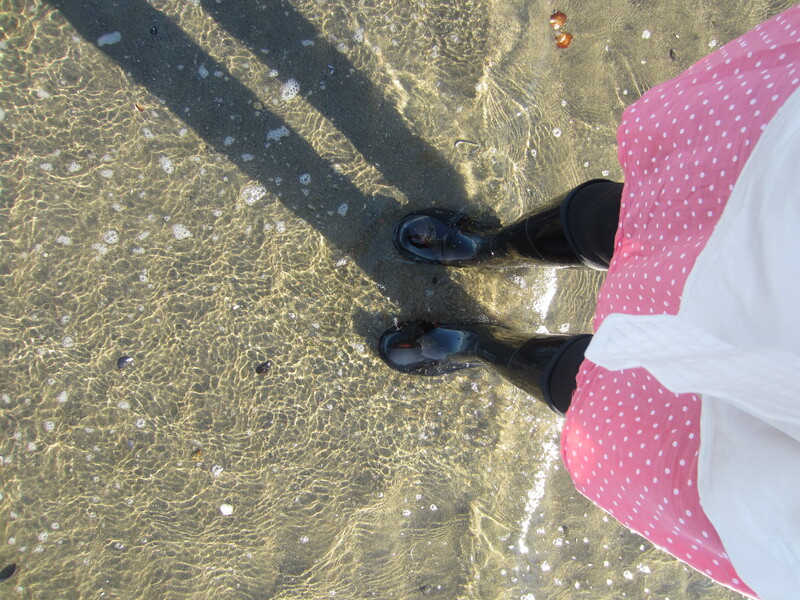 I waded in and out of the water for a good thirty minutes. A few dubious seagulls and ducks were my witnesses. My experiment was a unanimous success! I sat on a log to contemplate how wonderfully things always pan out when I don’t buy Made in China. Post-water. I'm as dry as the log I lounge on. Another company that makes winter shoes in North America is LL Bean. Their shoes are ugly-cool. If that’s your thing, that is. Alright, if you know of any other companies that Tibetans and supporters should be supporting instead of China, please share in the comments section! Love love love these posts! Love shopping but hate being halted on my way to the cash register when I see ‘Made in China’. Keep ’em coming! Tweber Backyard exploring gear, Children’s nature products. Thank you Gendun la for this list! You’ve done a lot of research on this! Thanks for showing that there are affordable, good-looking, not made in China boots. But beware of L.L.Bean, many of their goods are made overseas and China, some of their products are still made in the USA. Just check before you buy. Ah ok, thanks for letting us know Nina! I have read your articles and loved it. As a Tibetan, I feel the responsibility to know more about our country, citizens and culture. As a matter of fact, despite being a Tibetan, I never had the chance to learn about it. Can you please suggest me where and how it is possible to gain knowledge regarding Tibet. Today, like some days, I am getting that strange feeling about Tibet and feel the need to do something and have decided to start as a fresh Tibetan kid by learning the language. Please do help me. We hope the following site will assist you on your efforts. Good luck!